New solar installation coming online in Kern and Los Angeles counties | West Coast Solar, Inc. 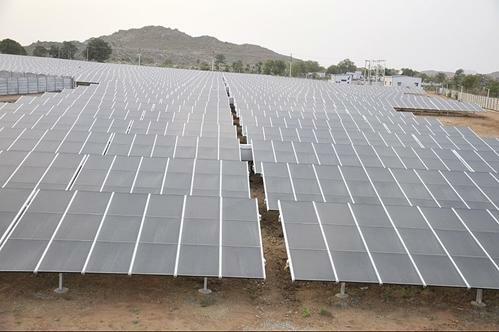 The first 57 megawatts (MW) of a 579 MW solar generating plant is coming online soon, according to Reuters. Once operating, the California Solar Star plant will be the largest in the country, providing enough electricity to power over 250,000 homes. The power station is made up of two sites spread between Kern and Los Angeles counties. Overall, the project involves 1.7 million solar panels covering 3,200 acres of land. The electricity generated by the plant will be purchased by Southern California Edison. The California Solar Star generating station is evidence of a growing trend in the solar industry that has seen concentrated solar power (CSP) being abandoned for photovoltaic (PV) panels like those that West Coast Solar installs on rooftops. The reason for this switch is that CSP, which was once thought to be more viable technology for utility-scale systems, has become less cost competitive with PV due to falling panel prices. To give some context to California Solar Star’s generating capacity, the total solar infrastructure for the state of California is about 4,167 MW, so adding Solar Star alone will increase that number by 13 percent. The Golden State leads the nation in total solar installations by a significant margin. You don’t need to wait for your utility to begin building more large scale solar installations in order to take advantage of Bay Area solar power. Right now, you can have solar panels installed on your home for no money down through either a leasing contract or a power purchase agreement. For more information, contact West Coast Solar today.